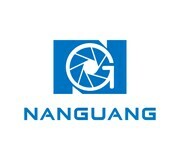 On November 21, 2015,NanGuang photo &video system Ltd , was invited to attend and was awarded "the 10th China video, film and television industry brand event" Ten excellent brands become the industry's most valuable and the growth of photographic equipment production enterprise, the industry is fully affirmed for NanGuang brand and enterprise strength, also for our company "insist on quality, customer satisfaction first" corporate core values added a wonderful footnote, which has important practical significance. It is reported, this evaluation was judged form various aspects of enterprise poll, such as technical strength, the working period, the enterprise norms, and the after-sales service, award enterprise must be desirable and loved by radio and television industry . But for Nanguang , this is a "protracted war" for constantly strengthen the core advantages, enhance the brand image .Since established for 23 years, Nanguang has launched a large number of utility model patents and invention patent .LED Lights for photography and camera always maintain leading position in the industry and Nanguang keep providing customers with the best quality, the most practical products. In the future, Nanguang will make persistent efforts, through technology, products, services and so on to improve its brand value, seize the opportunity, take advantage of an opportunity to make oursleves more fit the development of the times, try our best to develop new brilliance products in the radio, film and television industry.